Food Librarian The Food Librarian: Eat My Blog - This Saturday June 19th!!! Los Angeles, Whatcha doing this Saturday? 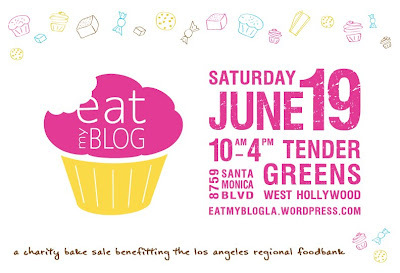 Well, hop in your car or get on the bus and get yourself over to West Hollywood for EAT MY BLOG! 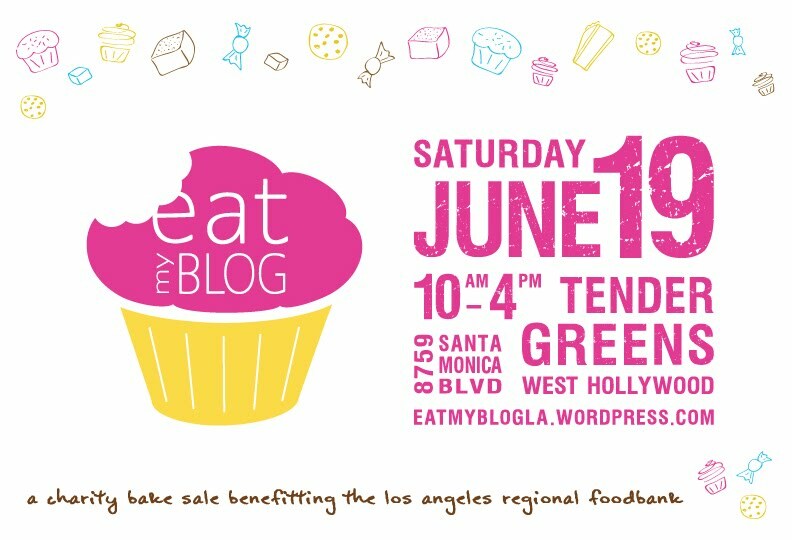 Eat My Blog is a blogger bake sale benefiting the fantastic Los Angeles Regional Foodbank. More info on the Eat My Blog website! Wishing you success. Unfortunately I live to far away, otherwise I would love to come. Sigh. Some of us have to work at the library. OMG those Matcha Mochi Mini Bundts looks amazing! !